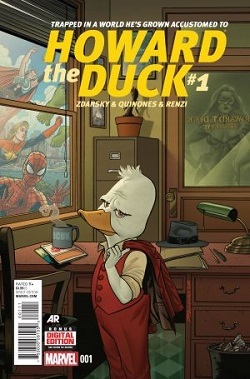 With interest in Howard the Duck rising again after his *Spoiler Alert! 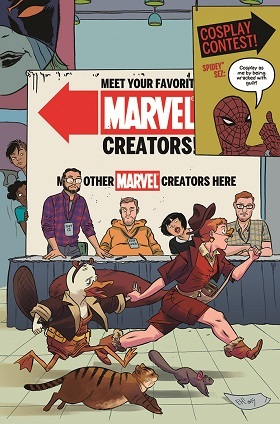 * momentary cameo in a recent hit movie from Marvel, they’ve decided that this October the time is right to re-release the Howard the Duck Omnibus — which has been out of print for more than six years. 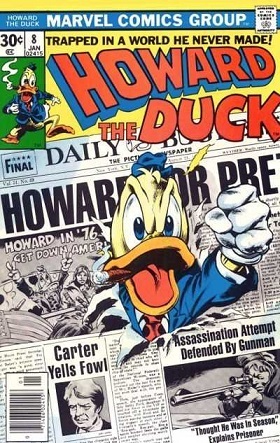 A massive hardcover (more than 800 pages) written entirely by Howard’s creator Stever Gerber — with artistic contributions from the likes of Val Mayerik, Frank Brunner, Gene Colan, Carmine Infantino, and John Buscema. 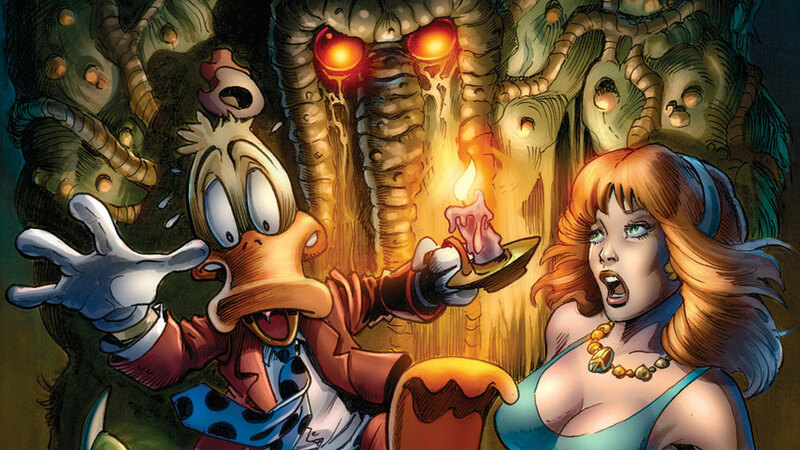 This classic collection of the foul-mouthed foul “trapped in a world he never made” brings together stories from Adventures into Fear #19, Man-Thing #1, Giant-Size Man-Thing #4 – 5, Howard the Duck #1 – 33, Marvel Treasury Edition #12, and Marvel Team-Up #96. Read all about it at The Nerdist.